Elon Musk, CEO of SpaceX (among other things), recently gave a talk about making life multiplanetary. He discussed SpaceX's plan to go to Mars twice in 2022. He admits that the timeline is "aspirational", but then says that 5 years is a long time. To get to Mars they are planning on building a giant rocket, one that Elon refers to as BFR during the talk (I'll assume this stands for Big Falcon Rocket). The design has 31 Raptor engines with a payload capacity of 150 tons. Near the end of his talk (@38:30), he says, "If you've built a ship that is capable of going to Mars, what if you take that same ship and go from one place to another on Earth? 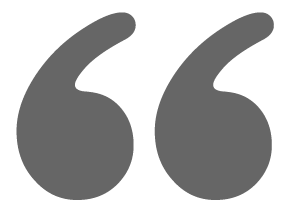 We looked at that and the results are quite interesting." Elon Musk's full speech is below and it includes footage from their successful rocket landings and what terraforming Mars might look like. Tesla is making a change to their referral program. Today, if you use a referral code when you buy a Tesla Model S or Model X you get unlimited Supercharging and $1,000 off the price of the vehicle. Well, the $1000 discount is going to end on October 31, 2017. The discount might be going away, but solar panels are being added to the program. In addition to buying a Model S or Model X, you can use this referral code to buy Tesla solar panels. Using this code, you'll receive a 5-year extended limited warranty. What surprises will they add to the referral program in November, we'll just have to wait and see. For full disclosure, I should add that using my code will help me get some Tesla swag, like a home charging station signed by Elon Musk. 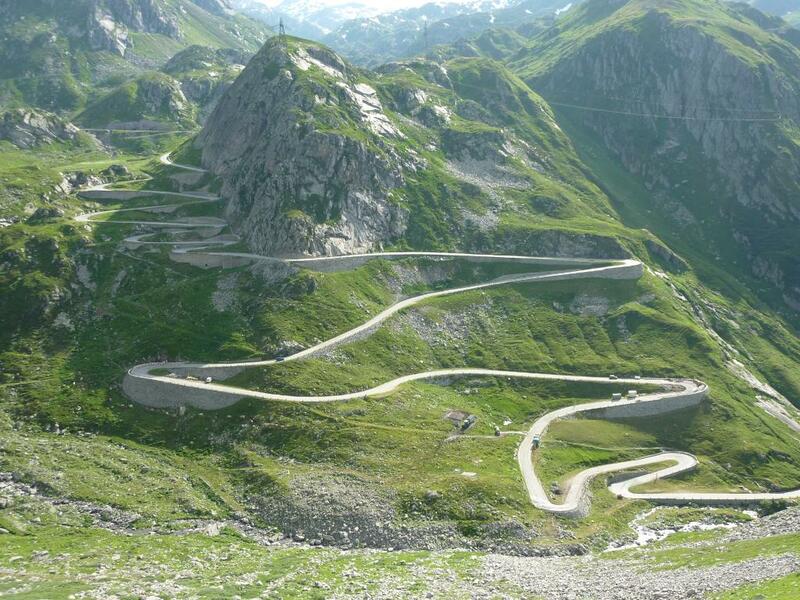 Welcome to part 5 of our summer Tesla adventure. 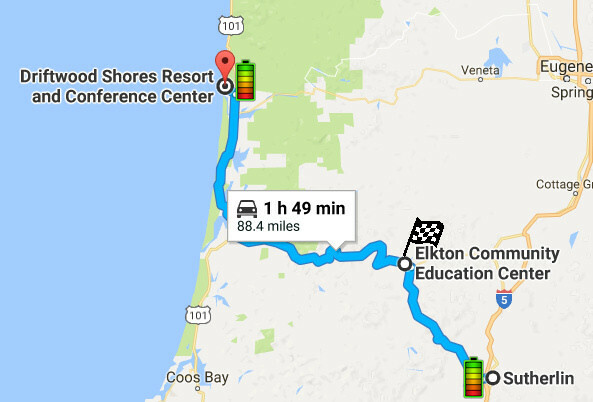 In this entry, we make our way to the Oregon coast with a colorful stop in Elkton. We were traveling from a motel with destination charging to another motel with charging. This was great. With overnight charging and a relatively short trip, we had no need to make a mid-drive recharge stop. We left Sutherlin after a late breakfast. We had a short drive and it was nice to take a slow morning and enjoy the day. We arrived at the butterfly pavilion in Elkton. From here we continued to Driftwood Shores and checked in. Next on our adventure list is the Oregon coast. 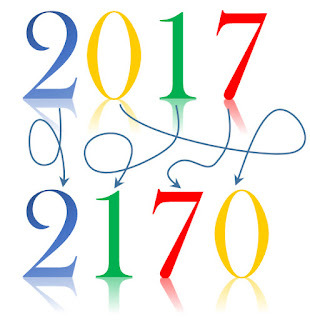 The year is 2017. 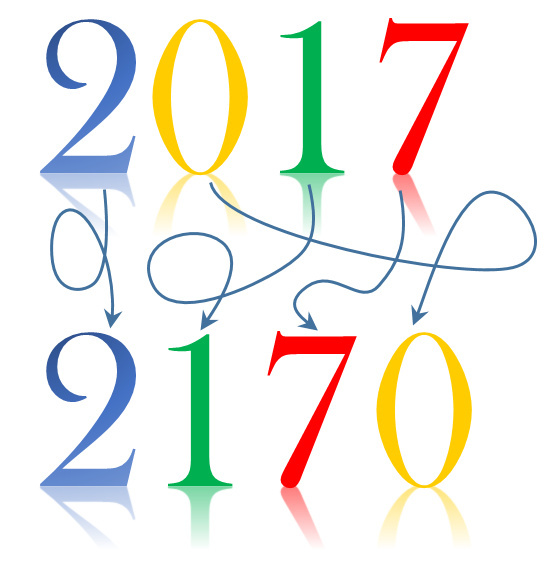 Jumble the digits a little and you can arrange them into 2170. 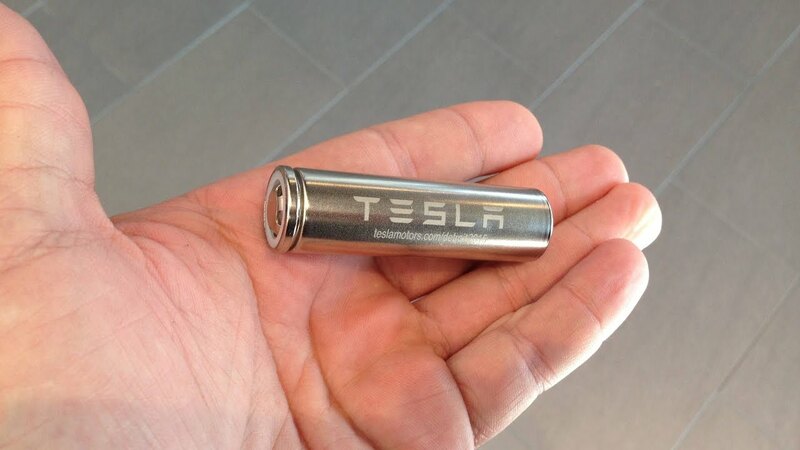 Tesla started mass production of their 2170 form factor battery cells on January 4th, 2017. 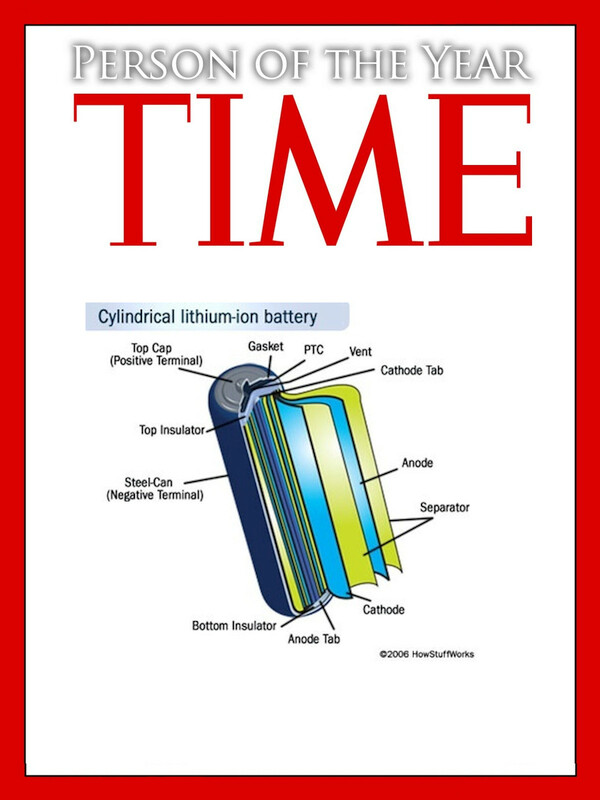 These cells were first used in Tesla's Powerpack and Powerwall energy storage products. In July, Tesla handed over the keys (or key card) to the owners of the first Model 3s. Like the Powerwall, these cars were powered by 2170 cells. The 2170 cells are so named because they have a 21mm diameter and a height of 70mm. The cells are produced at Gigafactory 1 near Reno, Nevada. By 2018, this one Gigafactory is expected to produce 35 GWh/year of lithium-ion cells annually, about twice global production today. Tesla started their business with the idea of using commodity battery cells. They used the 18650 cell; it was popular in portable electronics and the form factor to receive chemistry improvement faster than others. 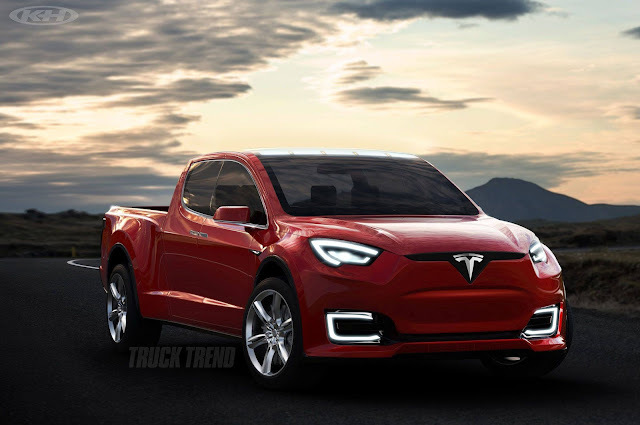 They used these in their Roadster, as well as their Model S and Model X.
Tesla is poised to disrupt both the energy market and the transportation market with their 2170 cells and it started this year in 2017 with the production of the first cells. 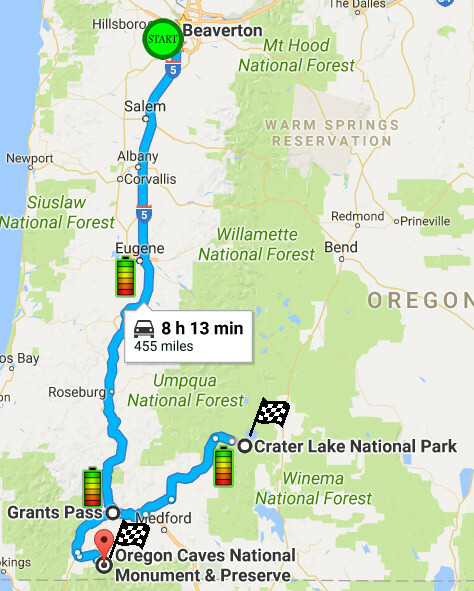 In part 3 of our Tesla Model X adventure, we visited the Oregon Caves. In this post, we'll travel from Cave Junction to Sutherlin with a stop at the Oregon Wildlife Safari. We left the Caves Chateau before breakfast and headed back to Grants Pass. The Black Bear Diner Supercharger was the hub for our south Oregon travels and this was our 3rd and final stop here. We'd enjoyed eating there on our previous visit a couple days before and were looking forward to eating there again. After arriving, we plugged in and went into the diner. It was crowded. This was very different from our prior visit. It was Sunday morning and apparently, the entire town of Grants Pass goes out for breakfast on Sundays. We could not wait since we had scheduled a cheetah encounter for that morning. Just as we were about to leave, our name was called and we were seated. Once we were seated, the service was fast and we were back on the road, on-time, with a full charge. We arrived at the Wildlife Safari park on-time. The park's in Winston, Oregon; it's over 600 acres that you drive through while the animals wander (mostly) freely. After seeing the cheetahs, we drove through the park. 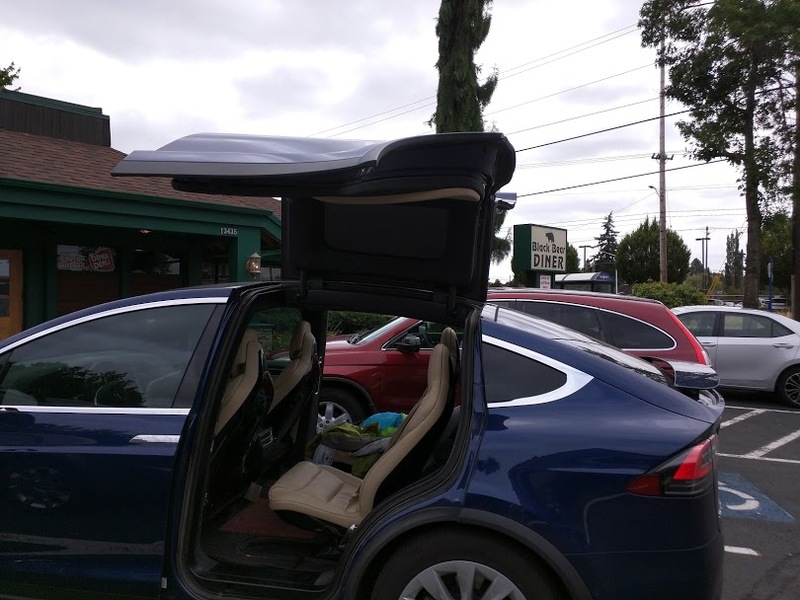 The giant front window of the Tesla Model X makes it the perfect vehicle for this type of drive-through park. The safari day was incredible. We fed a giraffe and an elephant, our daughter rode a camel, we drove through the park and walked through the village. It was an experience to be remembered and the enormous window of the Model X made it the perfect vehicle for this adventure. From here, we went to Sutherlin and checked in. We plugged into the destination charging station, changed in our room and headed to the pool. Soaking my feet in the hot tub was nice after walking around in the village for several hours. Our next stop is the Elkton Butterfly Pavilion. 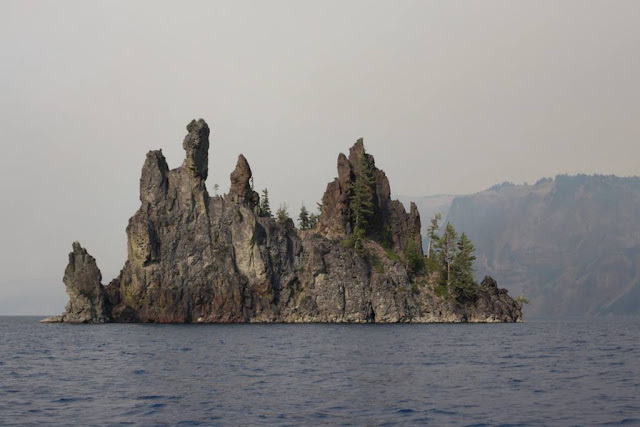 In part 2 of our electric Oregon tour, we visited Crater Lake and headed back to the motel on the Rogue River. 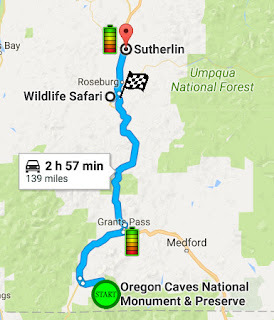 In this phase of our journey, we'll visit the Oregon Caves and travel to Sutherlin, Oregon. At our Rogue River motel, as we did the night before, we plugged into the 120V outlet and charged the car overnight. The next morning we were up early and headed into Grants Pass. 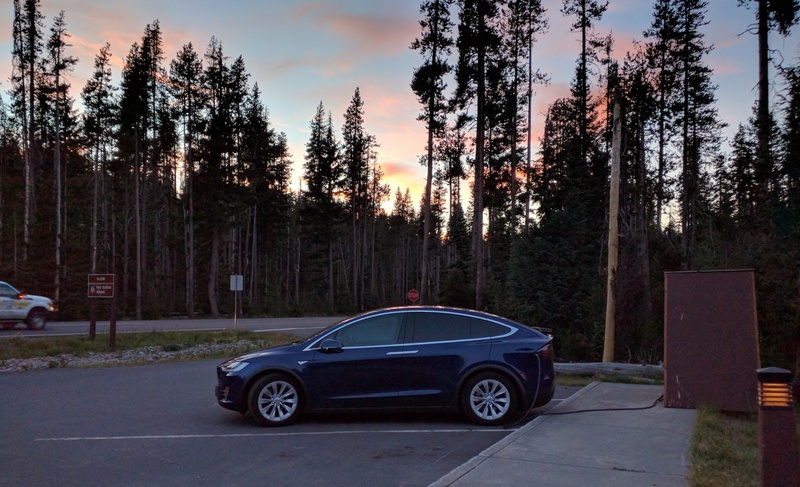 As we've done many times before, we plugged in at the Grants Pass Supercharger in the parking lot of the Black Bear Diner. However, this time we went into the restaurant for breakfast. We've charged here several times, but had never eaten there. The food was good and the fresh squeezed orange juice was some of the best that I've ever had. We have a Black Bear near our home, yet we've never gone there. It was just not a place that we considered. Now that we know they have good breakfast options, we'll be going there when we're home. After breakfast, we set out to for the Oregon Caves. It was a relatively short drive to Cave Junction from Grants Pass. We arrived at the caves with plenty of charge. We scheduled a cave tour and checked into the chateau. Here are a few photos from our cave tour. After the cave tour, we took the longer hiking trail back to the visitors' center. Our timing was great to see the sunset on the Siskiyou Mountains. After the sunset, bats came out. It was fun to see them flying around the trees with incredible speed. We stayed the night at the chateau at the caves. Unfortunately, there was nowhere to charge up there. They have a low-tech theme and they even proudly tout that they don't have Wi-Fi with a sign that says, "The best way to connect, is to unplug." While I agree that it is nice to unplug your mind when you are on vacation, I'd still like to plug in my car. 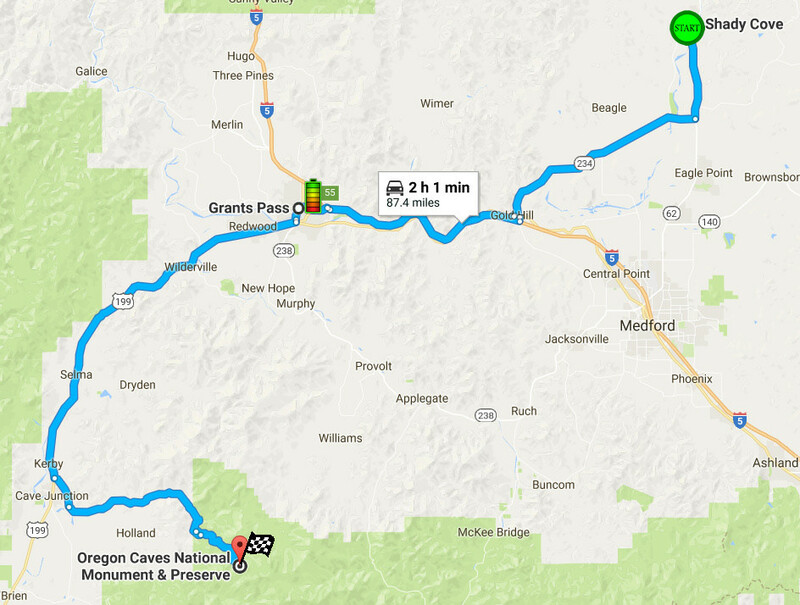 But the trip from Grants Pass was not that far, so we had plenty of juice left. There's a bumper sticker motto in there somewhere "Plug in your car and unplug your mind" ... Maybe not. The next morning we set off for Sutherlin. Where we were staying there, they have destination charging. This is nice, we'll be able to start the next morning with a full charge. Our next adventure: the Oregon Wildlife Safari. Previously, in part 1 of our summer family traveling adventure, we went to the Painted Hills in our Model X. 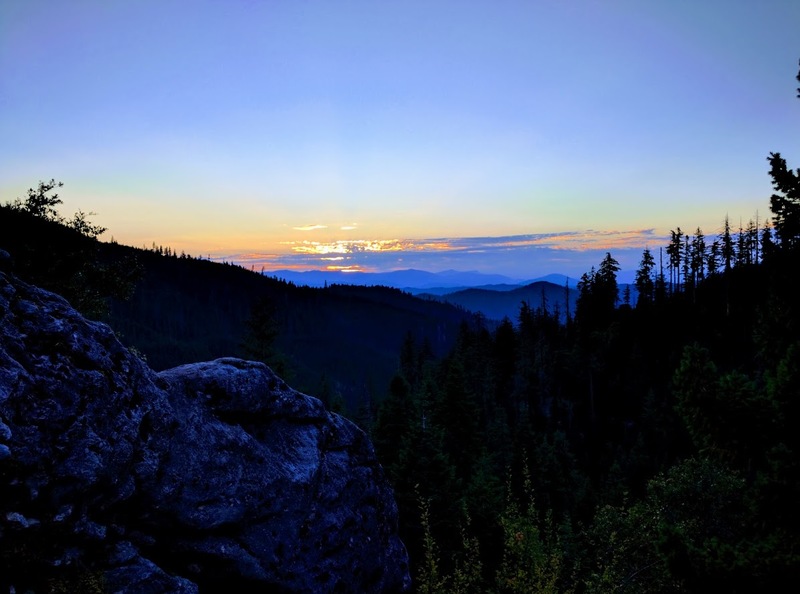 In part 2, we head to southern Oregon. In the morning, we were charged up and packed. We hit the road heading south. Our first charging stop was in Eugene. We stopped at the nearby Dutch Brothers and Subway before heading to the Supercharger. Our little family ate lunch and talked while we charged up. After lunch, we continued south. Our next stop was in Grants Pass. 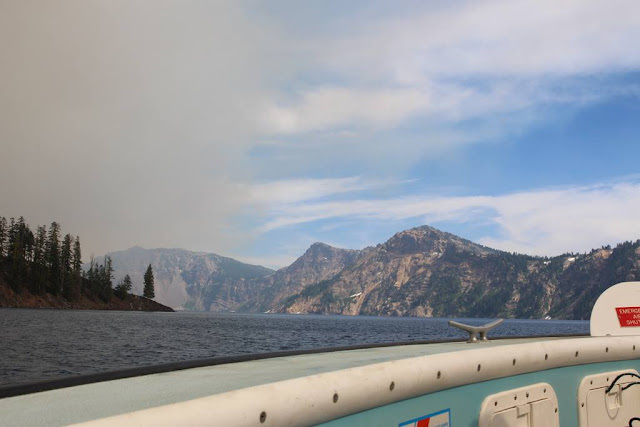 As we descended the Cascades and approached the city, the air began to thicken from the multiple forest fires burning in the region. We arrived in Grants Pass and plugged in. This Supercharger in the parking lot of the Black Bear Resturant would turn out to be our hub for our southern Oregon adventures. We charged up and headed to our motel for the evening. At the motel, we parked in front of our room and we plugged into a 120V outlet (with permission) overnight. This overnight charging only added ~20 miles, but it was all that was available and plugging in lets the owners of the motel know that EV charging is an amenity that we EV drivers are looking for. Perhaps they'll install a NEMA 14-50 which EVs and RVs could utilize. The next morning we had a nice breakfast at a 1950's themed restaurant overlooking the Rouge River. Then we set off for Crater Lake. Heading up the mountain the smoke began to thicken the air. We wondered if we'd be turned back or if it would be smart to turn back. We had checked the night before so we knew Crater Lake National Park was still open, so we pressed on. Biohazard mode comes in handy in times like this. Surprisingly, there were pockets where the air was clear. We saw a beautiful waterfall and stopped to enjoy the view. After snapping a few photos at the falls, we continued to the rim. We arrived at Crater Lake. We scheduled a boat ride on the lake for later in the day and enjoyed the view from the visitors' area. As we walked around, butterflies filled the air. I'm not sure if the fires drove them to this area, or if this is an annual occurrence. But it was magical as they flew up the caldera and surrounded us as we looked at Wizard Island and the beauty of the lake. Now it was time to head over for the boat ride. The boat dock was on the other side of the lake. 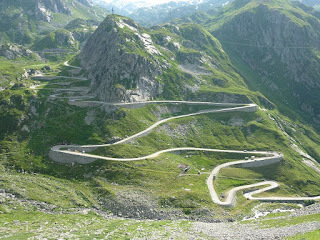 Because of the fires, the shorter route was closed. The drive up the mountain had used more than half the charge we had and I wanted to make sure we could get back to the motel. I had not planned on taking the long way around the crater when I mapped this out. At least the drive back was mostly down hill, we should have plenty of range. So we took the long way around and pulled into the parking area. The parking lot was under construction, which of course made me wonder if EV charging is part of the plan for this new parking area. With the hike down, the boat tour, and the hike back we'd be parked here for about 5 hours. A Level 2 charging session could add over 100 miles of range during this time. We parked and hiked down to the boat dock. After a short wait, we were on the water for a ranger guided tour around the lake. We finished our boat ride and headed to a Mazama Village. Driving down the mountain, we saw one of the sources of the smoke. On the way down the mountain, we stopped for dinner in Mazama Village. They had a Tesla destination charger housed in a tiny A-frame house at the restaurant. After dinner, we had a few extra Watt-hours and we headed down the mountain on our way back to our motel next to the Rogue. We made it back to the motel with plenty of remaining capacity. The next day we were setting off for the Oregon Caves. I'll save that for part 3.